Robert A. Heinlein—author of, among many others, Stranger in a Strange Land and Starship Troopers, and coiner of the phrase “An armed society is a polite society”—happens to be one of my favorite authors. As you can see here, I have done a fair bit of professional work on Heinlein, but even as a reader rather than a critic, I still enjoy him. 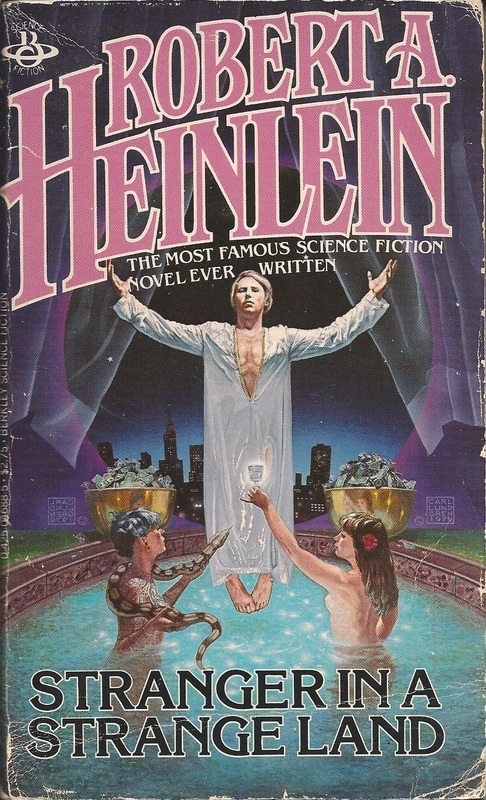 ​I have always had a pretty complete collection of Heinlein’s published works, but in the past few years I began to realize that in addition to the writing itself, I also enjoy the simple visual aesthetics of the various books’ covers. Now, therefore, my collection has grown from the paperbacks and very occasional hardcover I originally bought in my teens, through completely different artwork or even just variations of packaging, to occasional oldie first editions and even older pulp magazines. Heinlein actually takes up about 25 linear feet of shelving in my library, but I don’t begrudge him. Which artists are my favorites? For me, Darrell K. Sweet and Carl Lundgren top out above almost all the rest. Both are meticulous and draftsman-like, and both capture the feel of the novels in question beautifully. Sweet, though, perhaps edges out Lundgren just a hair in scrupulousness of attention to the particulars of plot, as so many other artists do not even attempt. Carl Lundgren’s illustrations of Farnham's Freehold and Stranger in a Strange Land, for example, are glowingly rich and detailed, and certainly no ill ever may be said against them. 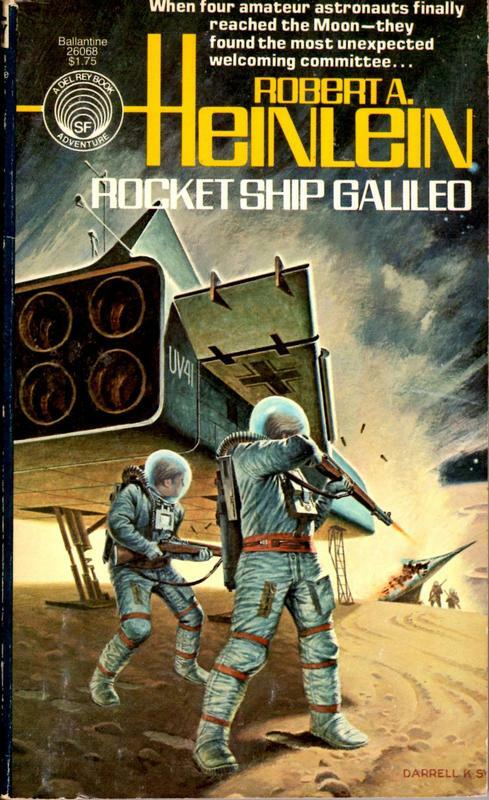 For absolute, almost obsessive correctness to story, however, see Darrell K. Sweet’s cover for Rocket Ship Galileo, where the protagonists are firing at the Nazis not just any random rifles but the military-surplus Garands described in the text, and one over-excited youth is even hip-shooting, as his companions later deride good-naturedly. Lovely! 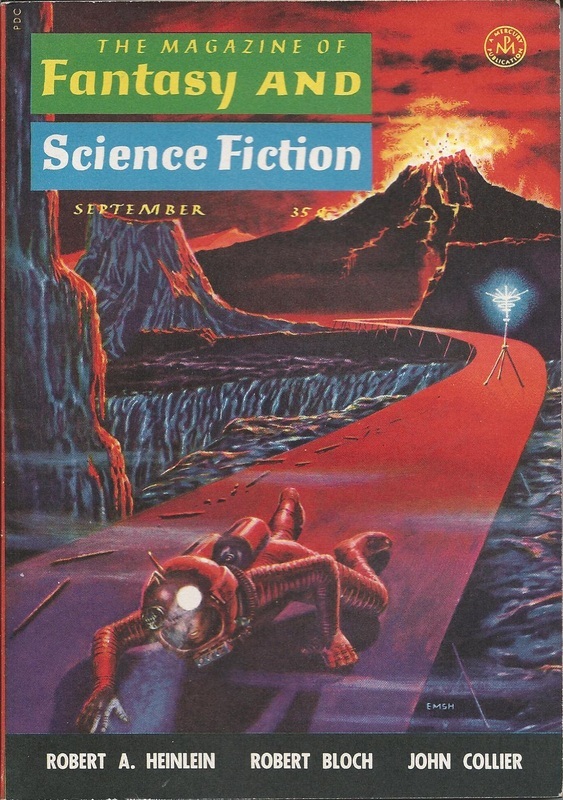 For the earlier era, Ed Emshwiller provides that same wondrous attention to detail. See his art on Have Space Suit—​Will Travel, for example. ​and the Steele Savage works of the 1950s can have a certain charm as well. In short, deciding on a single favorite may not be possible. The looking, though, is definitely worth the while. 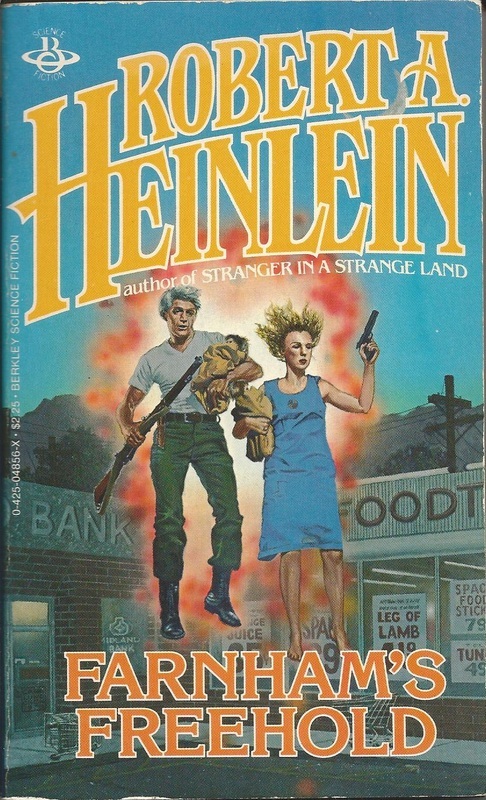 Linked at the buttons below, therefore, are scans of all the cover art from my own personal Heinlein collection, plus occasional interiors as well. Although some nice stuff may be found here and there elsewhere on the web, nothing in my galleries is a scrounged re-post—all of these 850-plus different images come from books and magazines physically sitting on my library shelves.